Dnata’s newly-opened hub at Brussels Airport has started its operation on 1 April. The premises offer sufficient space to accommodate growth. In BRU, Dnata has thoroughly refurbished part of the 703 facility, which it shares with Aviapartner and the Pharma hub, as well as with Kuehne+Nagel. The latter plans to relocate to the new Brucargo West zone early next year, offering Dnata opportunities to expand their reach at building 703. In the months to come, Dnata wants to obtain a TAPA A-certification for its BRU hub. TAPA stands for Transported Asset Protection Association, a collaborative initiative setup to fight against cargo crime, thus protecting the integrity of valuable air freight consignments. Dnata’s certification at BRU is seen as an imperative for companies aiming at the storage and handling of these types of cargo. Dnata also wants to certify for ISO14000, the EU-driven General Distribution Practices (GDP) and eventually join IATA Pharma CEIV, he adds. In its hub, the company has included a small storage room for pharma consignments with cooling facilities between +2C° and +8 C° as well as +15C° and +25C°. On the airside zone there are 2 similar cells for built-up pharma units, guaranteeing the temperature integrity of these consignments before transport and loading. 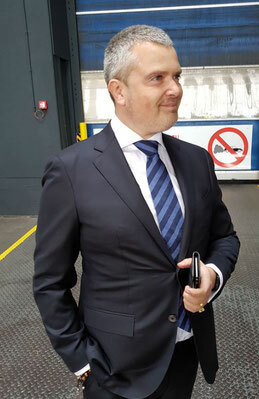 For tarmac transport Dnata will use the airport’s special pharma dollies “as we do at AMS,” Mr de Goeij says. CFG: With Dnata being part of Emirates, one would have expected that EK Sky Cargo would become the launch customer. Now it’s Singapore Airlines Cargo. Why? CFG: Are you in touch with other potential customers? 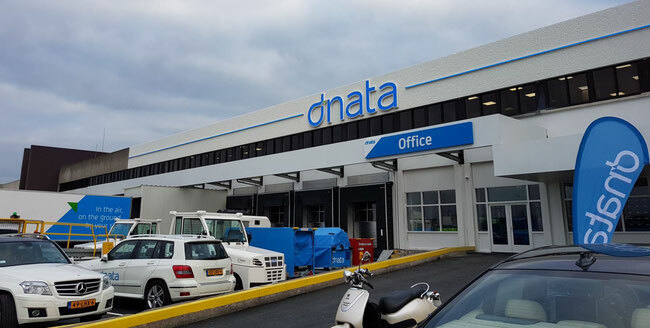 Dnata’s turnaround of the old premises at BRU took exactly 10 weeks, including the installation of 60 CCTV’s covering every m² of the building. The operation has started with a staff of 50, some of which were temporarily brought in from AMS, to guarantee expertise. “We have been approached by a lot of applicants, both from within and outside the airport. With full use of the warehouse we will employ some 100 people,” Mr de Goeij says. In AMS the 52,000 sqm Dnata facility is part of some 110,000 sqm of cargo handling space that will have to make way for the construction of a flyover - bridging the A4 motorway - that will accommodate a new taxiway. The move, which also affects KLM Cargo’s warehouse, is planned between 2021 and 2023. However dnata want to aim for cargo services then ramp services and I downsizing there ramp division at Heathrow because of the stupity of the above people which arabs found out which then again Much to late . In the dnata brand .